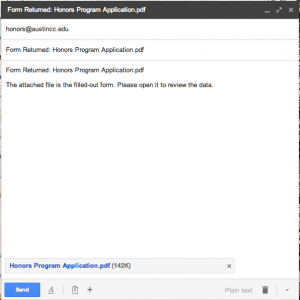 Download the Honors Program Application to your local computer or device. 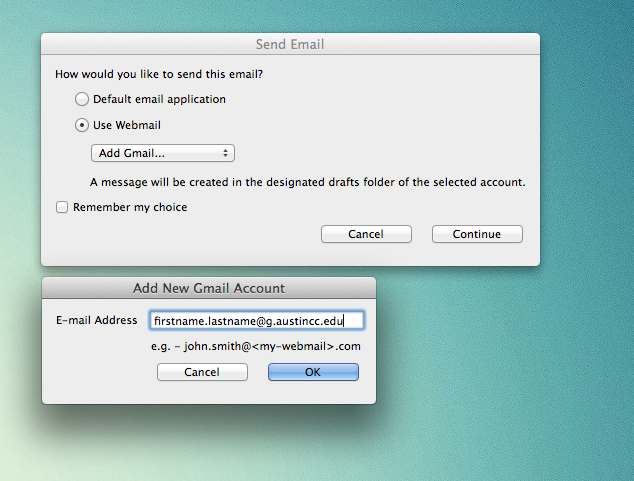 Note: There is a download link at the top of the page when the application opens. Open the application with Adobe Acrobat Reader. Download Adobe Acrobat reader here. Note: Application must be opened, completed, and saved with Acrobat Reader. Enter your ACCMail email address in the field. Press OK, then Continue. Press “Send” to submit application. Save the application to your computer or storage drive. 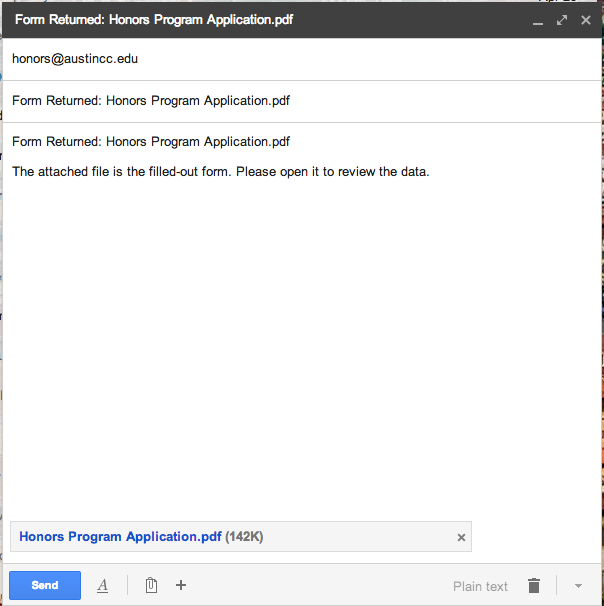 Email your application PDF as an attachment to honors@austincc.edu or fax it to (512) 223.2170. Note: You may need to submit documentation of your honors eligibility if not reflected in your ACC records.